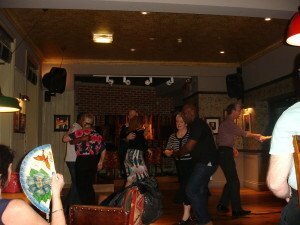 This week, for the second in my series surveying Manchester salsa classes and events, I’m looking at Mancuban Salsa – especially their Monday evening classes. Les and Lorraine of Mancuban were among the earliest teachers to offer Salsa in Manchester, and their classes are still up there with the very best of the Cuban Salsa scene. In fact they’ve gone from strength to strength, thanks to regular visits to Cuba to work with leading professional Cuban dancers. This means that they have a wealth of authentic experience in Rumba and Orishas as well as in mainstream Salsa and are able to teach all of these. Monday evening classes are at the Ape and Apple pub, 28-30 John Dalton Street, Manchester M2 6HQ (Beginners and Improvers 7:15; Intermediate Salsa/Casino Rueda 8.00; Advanced Cuban Salsa 9.00; dancing 10-11. £5 per class, two classes for £9). Amanda and I have been fairly frequent attenders at these, and always get a lot out of them. Lorraine’s an inspiring teacher who works to a very high standard, yet manages to do it without being intimidating. She’s an enthusiastic and encouraging teacher for beginners; and for the more experienced, she has a sense of how to help dancers develop and improve by gentle attention to small details. 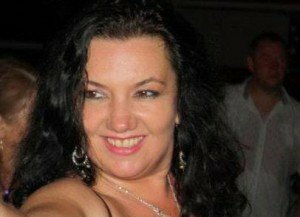 Lorraine’s years of experience with many kinds of Cuban dance give her a depth of knowledge which is genuinely rare in the UK. Les, besides having a similar level of experience with Cuban dance, is one of the most purely entertaining teachers I’ve come across (readers of my book Travels on the Dance Floor will spot him there as the teacher ‘who could have made a living as a stand-up comedian’!). At the advanced level he tends to specialise in teaching quite intricate moves – there’s always that ‘little bit on the end’ that I find quite challenging, being a bit of a slow learner myself. But the advantage is that even if you remember only a quarter of a move, you usually come away with something new that you can actually use on the dancefloor. 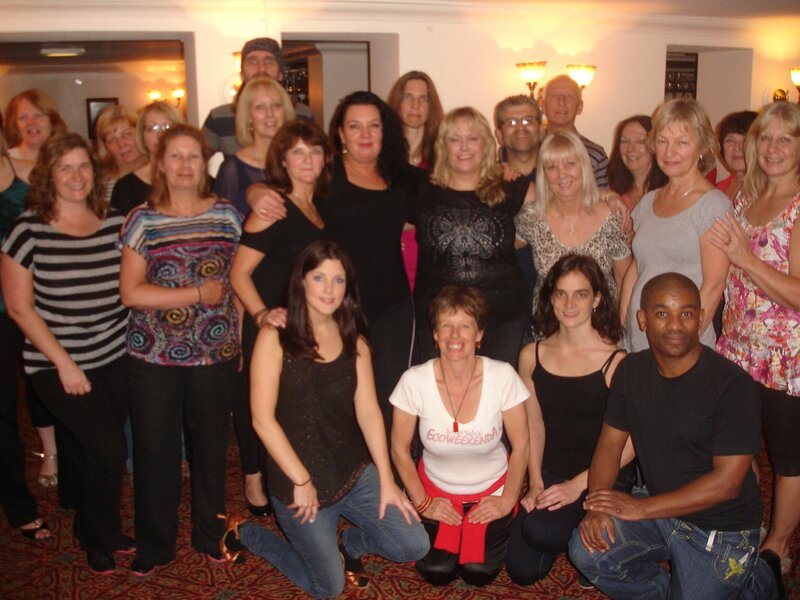 The venue has a good wooden dancefloor, and Les’s sound system is outstanding – both he and Lorraine do a lot of DJing – and there’s a fair amount of time for free dancing between and after the classes. It’s a notably friendly crowd so newcomers at all levels get a warm welcome. Other points to consider: Classes are upstairs in a pub; if you want a drink you’ll need to bring it up from the bar downstairs. And we tend to be on Cuban time here: classes often run over and things are fairly relaxed, so don’t expect your class to start and finish exactly on time! Other Mancuban classes to note: Friday 10 a.m. to 12 noon at Langworthy Cornerstone, 451 Liverpool St, Salford M6 5QQ: Casino Rueda and Afro-Cuban, mixed levels, £6; and Sundays 3 pm at The Jam Inn, 537-539 Wilbraham Rd, Chorlton, Manchester M21 0UE: Cuban Son, £5 (a really unusual class, which I’ll write about in a future post! ).